Links to other parts of this web site are at the bottom of the page. Search for TI-99/4a information The repetition of the same questions indicates that locating information is not as easy as it could be. Ideally I would like to create a metasearch so you could use one search box- but you would be deluged with possible answers and I don't have the resources anyway. So... I have created a page of searches for you to use to find information about the TI-99/4a. The full book Getting Started with the Texas Instruments TI99/4A by Stephen Shaw online. This site has a number of articles about the TI99/4A (some quite long)- this link will take you to a descriptive menu. Jump to description of a menu system for PC99. 2017 - Does anyone know anything about a UK software publisher called "Blue Chip Software" who issued cassette software for the TI99/4a, including "Night Rider" by "P Burrows and F Hughes"? Anything about these programmers? - The current companies using this name have NO connection to this early usage. Thanks. 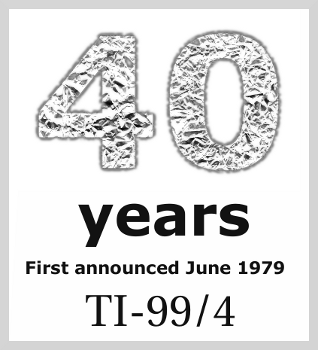 Now on the internet, details of the many programs that were sold in the UK in the Stainless Software catalogue starting with the programs still on sale in 1985 and then towards the end adding the programs that had been dropped by then. With links to the commercially published reviews and where possible new screen shots. 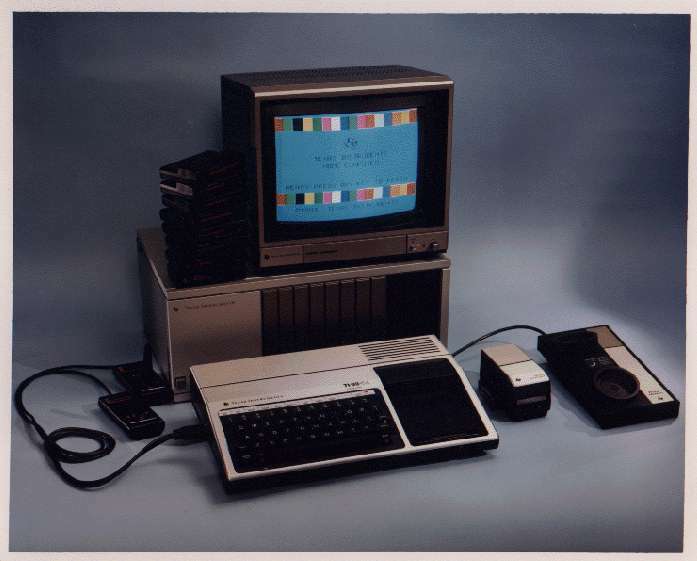 An official photograph (32k) - taken for publicity purposes showing the console (keyboard) and (not connected) behind it the Expansion Box (for 32k ram, disk controller and 90k 5.25" disk drive). To the left a pair of joysticks. To the right a speech synthesiser and an acoustic modem (modem never sold in the UK). Photo by Jim Childress of Lubbock, Texas. This image has not been taken from another web site but is a scan of an original print I own. 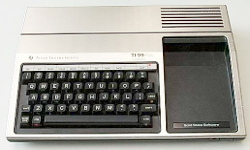 A very early module for the TI99/4a, used in stores, was the Demonstration Module. A short tune was written for this by Hank (Henry C) Mishkoff (in his own time) and Hank has supplied two Midi arrangements of the tune, TI1.MID and TI2.MID - under 3k each. If you do not have .MID files associated with a .MID player, save the files and play them later. Hank left TI before the computer was marketed. Hank has a web site too. One reader wrote to tell me these two files were identical- nope, I've printed out the music. The TUNE is the same but the instruments differ, the odd note is slightly different and one has an added counter-melody. Perhaps you need a musical ear to detect the changes Hank made! There is a huge variety of TI99/4A related material- documents and software- at Western Horizon site which should probably be your first port of call for historic TI items, including emulators and programs for them. List of external TI links of real interest, full of information. Tunnels of Doom was an early graphic rpg, and was very popular indeed. It was written over some 18 months by Kevin Kenney, a TI employee, but not paid to write TI99/4 software - who did it in his own time, including the original music. You can still play Tunnels of Doom with the original hardware, a remarkable amount of which is still functional (except there are problems hitching a 99/4a to a none-analogue tv these days). Or you can use one of the fine emulators such as pc99, v9t9 or MESS. Or, someone has written an excellent cross platform version of Java 1.6 Tunnels of Doom which will run on almost any platform supporting java version 1.6 - that is, Windows, Linux and so on. The music has been rescored symphonically, and game play has been subject to a few adjustments. On our version of java there were problems with music playing and with leakage- we had to remove a java heap limit and we find memory usage is generally over 200 meg after an hour or so. Jim Muller began working with LOGO while public relations manager for Texas Instruments in 1979. After introducing TI LOGO, the first commercial Logo package, in April 1981, Muller organised the first Logo users group, The Young Peoples Logo Association. TI Logo is available for the TI emulators. In 1997 Jim had a book published The Great Logo Adventure(here as a 3.6 megabyte zipped download), complete with CD Rom for PC and Mac, supporting MSW Logo. One of the educational modules for the TI99/4A was PLATO, a mini-PLATO from CDC, which used a huge number of data disks to teach almost anything. The PLATO courseware system is still in use despite several changes of ownership and technology. Visit CaDD Electronics for details of pc99w, a TI99/4a Emulator for the PC. The Windows version, pc99w comes complete with the dos version and the TI encyclopedia The Cyc. I strongly recommend you do not pay for a digital download unless you are absolutely 100% sure you can do it as a third party proprietory system seems to be in use. Choose a DVD by post. You can see a 2017 youtube video of pc99w running the Buck Rogers cartridge.. The Cyc includes a lot of printed material in searchable PDF format (the index alone is over 1800 pages! ), and many programs (thousands) to run with the PC99 emulator including the entire Tigercub and Amnion software libraries. Use the CaDD payment processor at your own risk- research them. A lot of work has gone into this and it is excellent value. The Cyc has many books, magazines and user group newsletters, manuals and lots of disks for use with emulators. These are in pc99 format but can be converted for use with other emulators using Fred Kahl's TI99DIR program. The content is readily and easily searchable. (Want to see a photo of a TI99/7?). See what Cyc content looks like. A review of PC99 release 5 & 6. DOWNLOAD TI99/4A Programs to run on the PC99 emulator, or the MESS emulator. How to emulate a TI99/4A with MESS includes downloads for W** systems. On Opensuse Linux I am using Mandrake/Mandriva rpm packages of MESS with no problems. which sets which dsk file to use and which cartridge (Super Extended Basic in this instance). My grom files are called ti-disk.ctg and TI-994A.ctg - note the upper/lower case. The TI Module Munchmobile was based upon an arcade game known outside the US as Joyful Road. The TI Module Car Wars was based upon an arcade machine game variously called Head On, Dodgem, and Crash. The arcade game Kangaroo was emulated in the Extended Basic game Roo. The arcade game Astro Invader was emulated in the Basic game by Not Polyoptics, 99Vaders. Arcade game Crazy Climber was emulated in the Basic game called Crazy Cliff. Many arcade games kept their original titles when transferred to TI Modules. This piece relates to the DOS version of pc99. From 1st November 2016 the Windows version of pc99, pc99w, has been sold and has its own drop down list of modules in the configuration utility. To help you easily select modules in PC99: PC99 Menu, by George Shaw. The program will read the PC99.MOD file to make up a menu of modules available, for easy selection with mouse or keyboard. Written in Quickbasic to run on any platform PC99 is happy with. Shareware ($8 suggested). Tested on PC99 VN 5 and Vn 6. Download PC99 Menu program - 95k self extracting exe format. The EXE file includes documentation but you can read it before you download the program: Read the documentation first or View a screen grab of the program in action (53k). My TI99/4 and 4A led me to meet and correspond with many people over the years, sometimes over many years. Some of these have inevitably but sadly died. Here in the UK especially missed are R Matthews of TX Software, who died much too young and so early in the TI's lifetime that few will know of him. 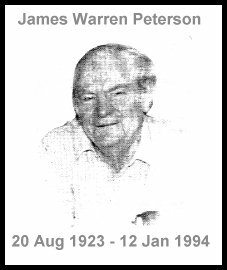 He was a first class programmer- sufficient to lead a Cornish software pirate to offer me Mr Matthew's programs as his own. Ian Martin of Timeless Software published several fine programs and also died much too young. Christine Godman of Christine Computing was a great supporter of the TI and has now gone. I corresponded for many years with Americans Ray Kazmer, Jim Peterson, and Guy Stefan Romano, sadly missed. Thomas Weithoffer lived just long enough to release a TI99 version of the language Pilot. I was awarded an "Edgar Mauk Award" for services to UK TI Owners back in the year 2000, but I only learned about this in 2013! Nobody told me, and the award itself seems to have been lost. Finally received a duplicate award in 2015! Apparently the original was sent in the post. Thanks guys. Later in May 2013 I was entered into the 99ers Hall of Fame- founded in 2004 - the first British person to be so honoured. The original published biography about me was not approved and mostly in error, but was corrected in 2014 - and the honour is real and much appreciated. This website has been archived by the British Library but in 2017 access was restricted to computers in copyright deposit libraries. This website has been archived several times at web.archive.org.